In the world and our country, rapidly growing population has reached problem causal dimen-sions especially in terms of food requirements in society. Marine products have been main-taining the importance and the place in our diets from the past to present. Nowadays, the de-mand for aquaculture is increasing because of the depletion of natural stocks and the excessive hunting. Therefore, the rapid development of fish farming causes an increase for the demand to fish meal and fish oil, the basic contents of aquaculture feeds. Fish meal is an indispensable protein source due to high level of protein and balanced amino acid composition contents. Fish oil is an excellent source of oil in terms of ÃÂ· -3 fatty acids contents for fish feeds. Fish oil leads to significant increase in the feed production cost since it is used not only in fish feed but also in land-based livestock feed and human consumption. In this case, while global amount of fish oil has decreased, the usage of fish oil has increased. The amount of fish oil to be used in aquafeed industry is estimated to reach almost 80 to 90 % of global fish oil production (0.96 million tonnes) by 2010. It is important to find alternative oil sources which are healthy and can met the fatty acid requirements of fish for the establishment of a sustaina-ble and economic aquafeed industry in terms of decreasing the cost of sector and contri-bute to national economy. Therefore, several studies done on fish nutrition have covered the substituting other alternative vegetable oil sources (corn, sunflower, linseed etc.) that are easy to produce, economic and rich in Essential Fatty Acids in recent years. 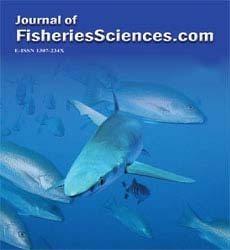 These in-vestigations showed that plant oils, rich for fatty acids and not affecting fish growth and the whole body fatty acid composition negatively in freshwater and marine fish species, are alternatives to fish oil and partial or total replacement of dietary fish oil with these oil have successfully presented. For this purpose, in this study, the potential use of canola oil, which is intensively produced and much cheaper than fish oil in Turkey, as an alternative to fish oil will be evaluated comparing with the other studies where the other vegetable oil sources have been tested so far in fish diets.